To stay updated about everything that happens, subscribe to our iVAULT Newsletter, and GET NEWS FIRST. Subscribe to our YouTube channel for the latest videos as well. Read this article in German here. In the last blog entry you were given a concrete example of what the cooperation between Golisan GmbH and VSSAG looks like. Companies can now protect their supply chain from counterfeit products in a very simple way and thereby guarantee customer confidence in the authenticity of their optimally protected products. We also mentioned after visiting the World Economic Forum in Davos at the beginning of 2019 that parts of the management team were going to Istanbul to attend another big event: the Global InsurTech Summit in Istanbul. As one of the speakers, Arman was once again able to eloquently and charismatically explain the iVAULT blockchain’s enormous market potential to his listeners. It brought people closer to the many advantages and opportunities that users of VSSAG’s global platform for the protection of material goods will benefit from when they register their products or possessions. This applies to large corporations and businesses as well as to private users who want to protect their luxury goods like watches, cars, or original works of art. We would like to extend our sincerest gratitude towards you for your motivational speech during the conference held in Istanbul. Your views on developing an effective insurtech strategy and its execution have broadened our horizons. Please accept our appreciation for such a commendable job. Every participant will take your words into practice. You have covered essential elements of insurtech strategy and your description of how to execute it is remarkable. We once again would like to thank you for such a wonderful speech and hope to get a chance to hear such speeches from you in future also. 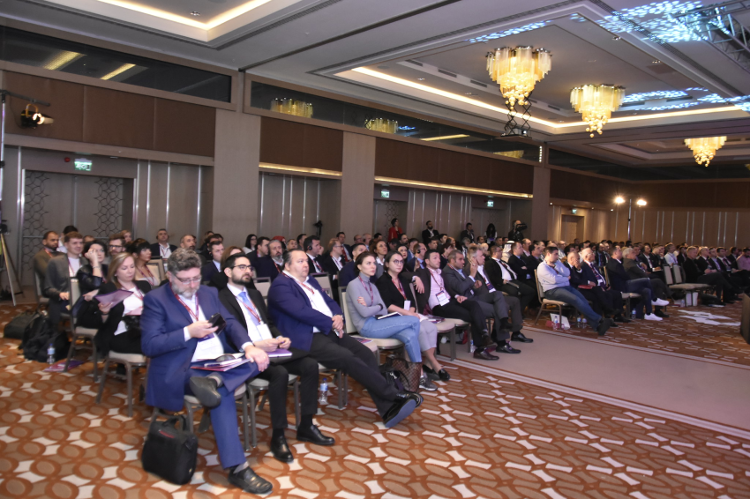 Arman’s keynote presentation on topics such as iVAULT FinTech or MedTech, InfoSec (information security), and cybersecurity was not the only focus of the team’s visit to Turkey. In addition, we also wanted to forge new contacts with interesting people who also represented their companies there. Photos of the event can also be seen here. 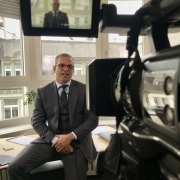 But after this successful appearance the founder and his company hit the ground running and will soon move on to the Kapsch Security Day 2019 on 25 April 2019 in the Aula of Sciences in Vienna. This event deals with current security threats, as well as technological innovations and trends in the field of physical, organisational, and IT security. As you can see, it is an event iVAULT must attend. So, in case you did not make it to Istanbul, here you have another opportunity to meet Arman Sarhaddar in person. But, if you don’t make it this time, your next opportunity will certainly come sooner, not later – guaranteed! Have you already subscribed to the iVAULT newsletter? If not, you can quickly subscribe here. Join in the discussion and leave a comment. We will respond soon. 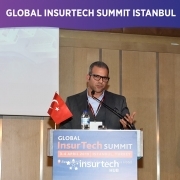 Did you attend the InsurTech Summit in Istanbul as well? What was your impression? In your opnion, what other businesses should be using the iVAULT blockchain to protect their supply chain, so you can trust their products? Take iVAULT for a test drive right now… how could you ever be without? What other issues would you like to see discussed in our blog? Do you still like information about compliance, data privacy, or trust? Let us know in a comment below. In short: The company Golisan GmbH has chosen our iVAULT product to protect their supply chain against counterfeiting and fraud. This news comes with an open invitation to meet us at the InsurTech Summit in Istanbul and the Blockchain Summit in Vienna. Subscribe to our YouTube channel for the latest videos as well to access our newest videos. 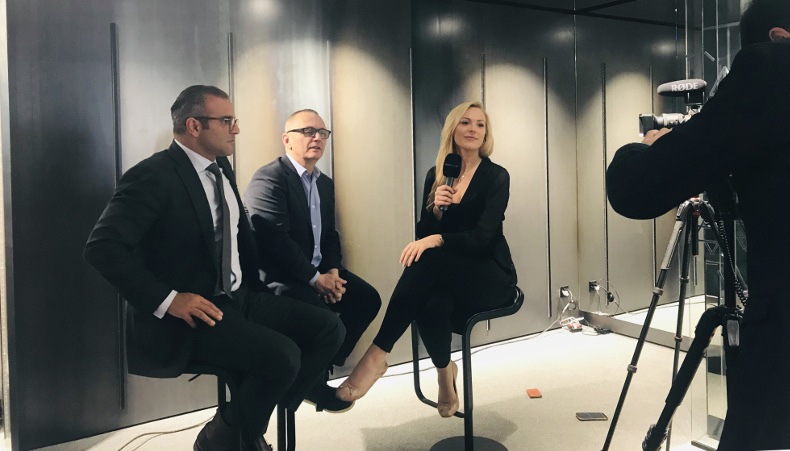 In an earlier blog entry about our WEF Davos interview with Jessica Walker, we discussed case studies, which interest to all of us. In this new article we offer more insights with another case study. In an effort to meet the highest safety standards, Golisan GmbH has chosen to begin protecting its supply chain by registering its products on the iVAULT blockchain. Our brand name Golisan stands for a return to nature and the recollection of the healing powers that so many plants possess. […] The quality of our products is our main concern, which is why we rely on ingredients from organic agriculture, bottle our extracts in Switzerland and are certified by Swiss Quality Testing. As you can see, the production of Golisan products is already subject to strict controls. So the next step – to contact Vault Security Systems – was obvious. With their products registered in the iVAULT blockchain, the company can ensure that no counterfeit or fraudulent products are sold. Now, with the support of iVAULT, consumers will feel even safer in the future. Quality is close to Golisan’s heart. We are very pleased to be working with Golisan on a custom-made supply chain solution. With iVAULT’s multi-functional blockchain, we help Golisan improve product safety as well as InfoSec (information security). This is an important step for both Golisan and iVAULT. 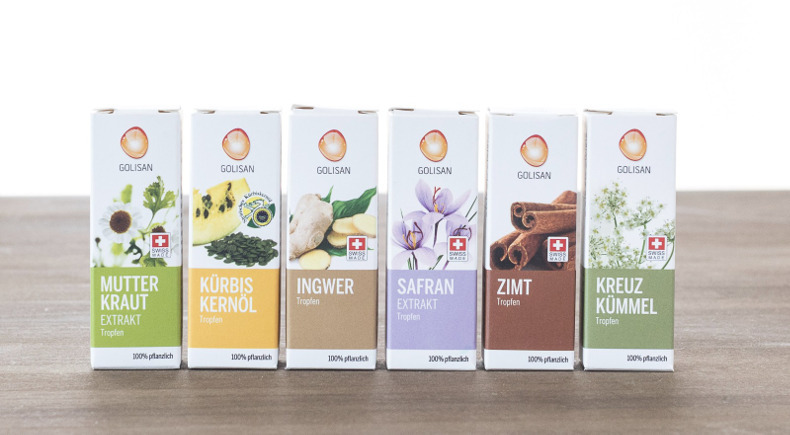 Using distributed ledger technology, Golisan’s customers can be certain they receive original Golisan Cinnamon Extract, made with Ceylon cinnamon and nothing else. Now, about meeting us in person! Members of the Vault Security Systems management team will participate at both the InsurTech Summit in Istanbul and the Blockchain Summit in Vienna at the beginning of April. We are glad to be there and look forward to meeting very interesting people, as well as connecting with new potential business partners. CEO Arman Sarhaddar is giving a keynote and will be available to chat with you at the event. 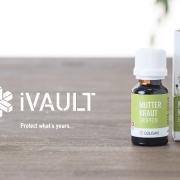 He will talk about much more than just Golisan’s natural products – there is still more to discuss when it comes to the iVAULT blockchain (e.g. the protection of luxury goods, medical or financial technology supply chains). Arrange your private appointment by reaching out directly to as@vaultsecurity.io. Chief Marketing Officer (CMO) Lothar Rentschler will be attending the ANON Blockchain Summit 2019 in Vienna. He will be happy to answer questions from interested investors and partners there. Appointments can be arranged in advance via lr@vaultsecurity.io. …an electronic database of transactions that is continuously updated and verified. This digital ledger of activity helps buyers and sellers to be sure that what they purchase is the real thing and not counterfeit. What other businesses should be using the iVAULT blockchain to protect their supply chain in your opinion? What other issues would you like to have discussed in our blog? What information do you still need? Please, tell us in a comment below. In short: Vault Security Systems AG’s CEO and Co-Founder Arman Sarhaddar, and COO Urs. E. Gattiker were interviewed by Jessica Walker from bloxlive.tv during our visit to the World Economic Forum in Davos. Jessica Walker puts the pedal to the metal and starts by asking the really important questions that interest everyone the most. This blog entry is a short update, with the video of the interview, of course. To stay updated about everything that happens, subscribe to our iVAULT Newsletter to GET NEWS FIRST. Subscribe to our YouTube channel for the latest videos as well to get all of our new videos there. Urs E. Gattiker was networking in a room full of blockchain experts for a few minutes after one of the great presentations about cybersecurity and distributed ledger at WEF Davos 2019. Shortly after getting himself introduced to some people, Jessica Walker, together with her technician, was there and had convinced both Urs and Arman to do an interview with her. Of course, there was no time for preparation, but in this case, it wasn’t necessary. Urs and Arman are both convinced that iVAULT, and its unique application of the blockchain technology will be of great use to everyone in the world. As you might expect, when Jessica started the interview by getting right to the heart of the matter, both of them had a lot to say. Case studies – and that’s what she dove right into – are probably of great interest to everyone when it comes to a concept like blockchain. How many companies suffer from counterfeit or fake products within their supply chain? How many businesses have worked really hard in the past, earned a good reputation, and now have so many problems, because their high quality products are cheaply reproduced by other companies all around the world. No single industry is completely free of these issues. All companies have to tackle the problem of their products being forged by criminal enterprises. In some cases, honest companies do not even know that imitations of their products are being sold. If products were registered on the iVAULT blockchain, which provides the possibility of proving whether something is original, this would be revealed much sooner. In this way, companies could tackle the problem much earlier, before reputation and financial damage become irreversibly large. In the interview, Urs and Arman provide you a closer look at the connotations of the word “blockchain” itself. The iVAULT blockchain has no relation to things like Bitcoin or other cryptocurrencies. The iVAULT blockchain is about cybersecurity, which is why they like to talk about ‘distributed ledger systems’, helping people understand what this technology can do. The negative connotations that resulted from the earlier use of blockchain technology have nothing to do with the unique way iVAULT helps to solve some of the biggest problems in the world. What is your experience using blockchain? Do you want to try iVAULT, or do you still have some concerns? Have you ever had a problem iVAULT would have immediately solved? Maybe you lost something of great value or bought a fake product? It must have been very upsetting. Tell us about it, we’d like to hear your story. In the last blog entry, we gave you insights into the production of our first three videos for the new brand iVAULT. Now, we are happy to provide you with an update, produced by DrKPI, which is an additional clip to introduce you to Danyele Boland. She is the co-founder of Vault Security Systems AG (VSSAG) and as passionate about her business as the rest of the team. And don’t forget to subscribe to our iVAULT Newsletter to get news FIRST. For the latest videos, subscribe to our YouTube channel. iVAULT is a global network for users to register assets, such as lost or stolen property, to search for and identify them on a blockchain. These items can be anything of value to the individual user of the iVAULT blockchain. Companies and businesses, on the other hand, can protect their supply chain against counterfeits and contraband. Working with Danyele was a special treat. She is a charismatic and intelligent speaker, and it did not take us long to get some great shots, even though she had just arrived from the US. With years of experience in international sales, human resource management, logistics, and much more, she is an irreplaceable part of the VSSAG team. In her video, Danyele recalls when Arman Sarhaddar told her about his storage unit getting robbed. He lost some of his most valued belongings. This is how they got the idea to create a platform to secure physical assets such as luxury watches, pieces of art or jewellery, or anything else that is of some value to its owner. iVAULT is the first global network to use blockchain technology for registering and identifying assets (such as lost items or stolen goods). It lets users register their items on the blockchain, search for, and identify them. Have you ever used a blockchain? Have you ever had a problem iVAULT would have immediately solved? You lost something of great value or bought a fake product? It must have been very upsetting. Tell us about it, we’d like to hear your story. There is no doubt that iVAULT will be of great use to individual consumers and businesses alike. Just take a look at the information given on the homepage, and find out for yourself. The iVAULT video production gavve me the chance to see a passionate team come together to make something truly innovative possible. With this blog entry you can take a peek behind the scenes of this fascinating project. Subscribe to our iVAULT Newsletter to get news FIRST. Read this blog entry in German here / Lesen sie diesen Beitrag auf Deutsch hier. It all happened pretty quickly. Urs called me one day and told me to get the camera ready for some videos we had to make. Something new was coming: iVAULT. In short, he said, it is a global network for users to register assets, such as lost or stolen goods, to search for, and identify them on a blockchain. Companies, for example, can protect their supply chain against counterfeits and contraband. Medical technology manufacturers and luxury goods suppliers can all protect their supply chains. Insurance companies can use iVAULT’s fintech to serve their clients better while speeding up claims processing. So I came to Zurich, Switzerland, to get to know the team of Vault Security Systems AG. I have already been working with Urs E. Gattiker, Chief Operating Officer, for quite some time. He has a history of coming up with ideas, realising them and executing them successfully – something called having a very good track record. What is iVAULT and how does a blockchain work? Urs introduced me to Arman Sarhaddar, Chief Executive Officer and founder, the man who had the idea to create iVAULT in the first place. He got Lothar Rentschler to join the team. Lothar is now Chief Marketing Officer of Vault Security Systems AG. These three have a clear vision about how to use iVAULT. They discussed with one another and myself how many different target groups could take advantage of blockchain technology. Art lovers, collectors, and manufacturers (of machines, medical technology, car parts and so forth), as well as consumers can better protect their products or possessions with iVAULT’s help. In short, iVAULT is beneficial for pretty much everyone. The meeting brought together a vast number of different ideas. FInally being in the same room together made it possible to unite interests and ideas in order to act in concert. It was as much fun as it felt productive to be a part of this. But let’s get to the point. In his video, Arman Sarhaddar wanted to tell us about how he got the idea to create iVAULT. He would have been glad to have a platform like this back when he got robbed and lost so many valuable belongings he loved. Arman could have searched for his belongings on the blockchain, and ultimately, might have found the stolen items. It is possible for anyone to do so on thousands of computers, because once a transaction is registered on the blockchain, it cannot be changed or tampered with. Maybe the thief sold Arman’s wooden sculpture. If Arman had it registered on the blockchain, the buyer could have checked online, to see if the seller could produce proof of ownership. Without it, the thief could not have sold it. That is how easily fraud can be detected with iVAULT. For businesses the use of the blockchain technology with iVAULT is even more effective. Any counterfeit product causes the manufacturer revenue loss. Plus, these products are not genuine and are likely to operate less perfectly than the original. Cheaply reproduced medication, which is not stored properly or uses improper ingredients hurts patients badly and can cause death. This all undermines the brand’s reputation. With iVAULT we are able to truly protect what’s ours – against theft and fakes. As a cinematographer, I feel privileged to have made the first three videos for iVAULT. When we discussed what we wanted to share with viewers, I realised I would have been glad if the platform had existed two years ago. At that time, I decided to start my own venture while a full-time student. I purchased my first piece of equipment secondhand, a steadycam. But when it arrived, I noticed that it did not work properly and that it was a fake. I had a lot of difficulty getting my money back. What convinced me personally about iVAULT, was that it would have been so much easier to check whether the genuine product was being offered to me at the time. Moreover, it would have been very affordable to protect my money by first checking with iVAULT before buying the used camera. What is iVAULT and how does the blockchain work? How does iVAULT make sure that no fake product enters a company’s supply chain? blockchain is an electronic database of transactions that is continuously updated and verified.